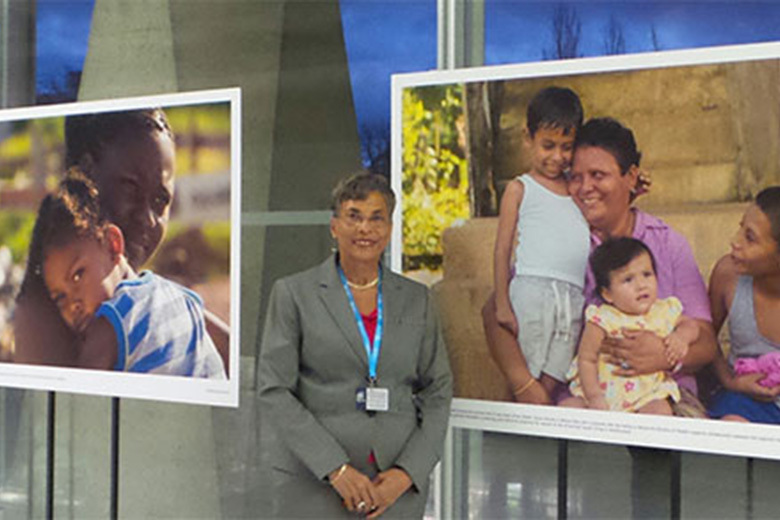 The HCC’s Regional Cervical Cancer Initiatives were featured at the recent WHO Dialogue Meeting. Belize Cancer Society President and member of HCC Board of Directors Laura Tucker Longsworth presented at the recent WHO Global Coordination Mechanism on the Prevention and Control of NCDs. Her presentation was entitled ‘Defender of women living with NCDs: championing the rights to health care for women living in remote and poor areas of Belize. The experiences of the Jamaica Cancer Society and the Belize Cancer Society cervical cancer efforts were also featured in a compelling image display. Read more about the WHO Dialogue on how to strengthen international cooperation on the prevention and control of noncommunicable diseases within the framework of North–South, South–South and triangular cooperation here.